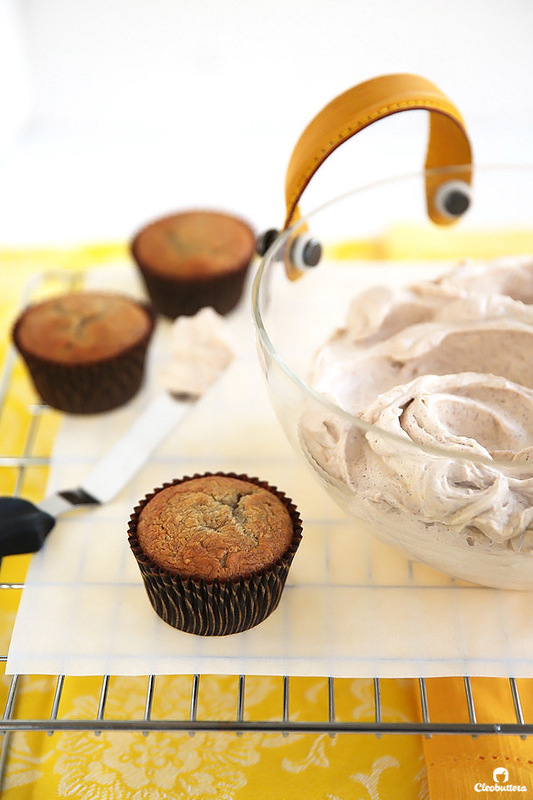 Moist and tender banana cupcakes bursting with banana flavor, without being gummy or dense! 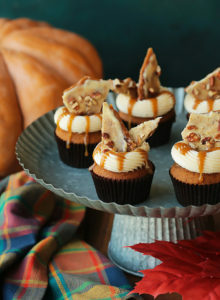 Pipable and not too sweet browned butter cinnamon cream cheese frosting, makes them extra special. 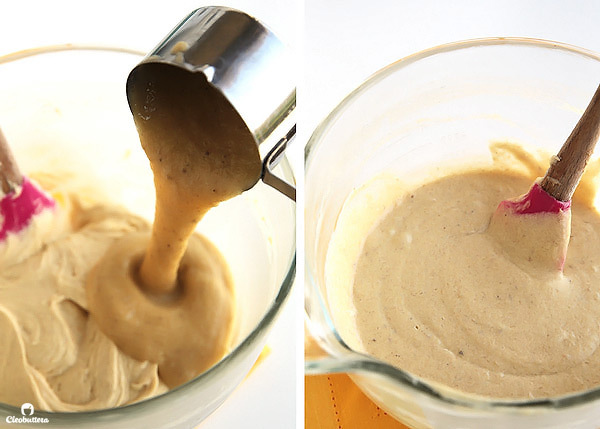 This will most likely become your go-to banana cake recipe! I’m going bananas for bananas lately! So much so that my husband so innocently asked me if it was banana blogging season. With two banana recipes in a row, in a time were I’m experiencing sporadic blog post syndrome, the man’s got a point. First there were these Banoffee Pie Cups (Can I get an Mmmmmm?) then comes these fluffy banana cakelets. One thing I love about bananas though, is that it knows no season. Always there, sticking around through winter’s chill and summer’s heat. Reliable, like a good friend. Constantly available and year round acceptable. But bananas…simple, inexpensive and a kitchen staple, just milk and eggs at every house I know. 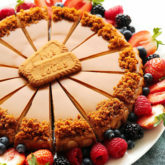 Its beauty is showcased in its effect on baked goods- the instant moisture, the round flavor, the effortless sweetness and the signature speckled crumb. And these cupcakes are the perfect homage to the humble yet magical fruit. They are also brought to you by: The three blackened, overripe bananas sitting on my counter, on the verge of going bad. They were staring me in the eye, begging to become the star of something delicious. 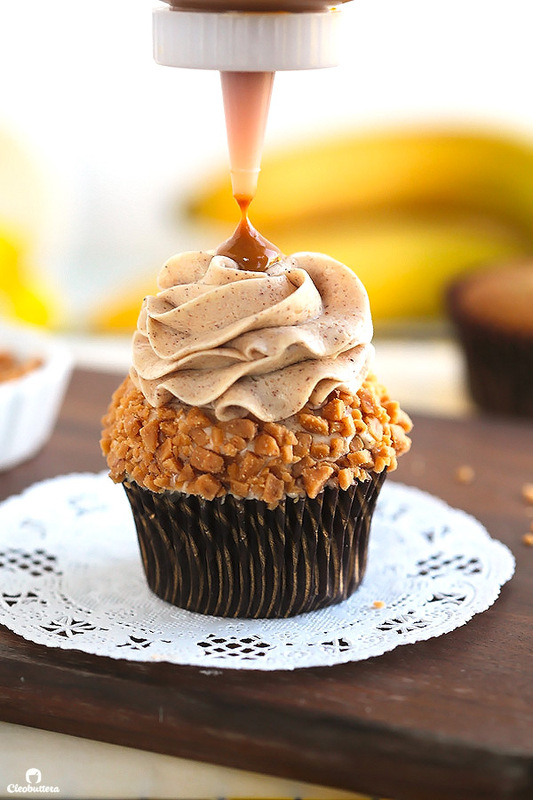 Enter these perfectly banana-y cupcakes! “Imagine the most divine banana bread you have ever tasted in the form of an extremely moist and flavorful cake. This is it! 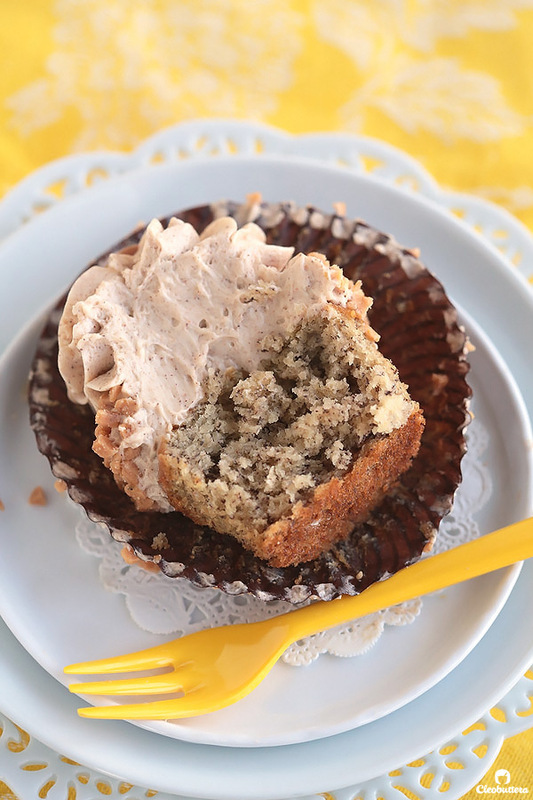 It’s the best banana cake recipe we’re ever tried.” -Elisa Strauss, Confetti Cakes Cookbook. I couldn’t have said it any better. This banana cake recipe, adapted from Confetti Cakes Cookbook by the ever so talented Elisa Strauss, has been my go-to recipe for well over 6 years. Before that, I’ve been plagued with my fair share of either flavorful but gummy and dense banana cakes, or fluffy but lacking flavor and often dry ones. Until a good friend suggested that I try Elisa’s recipe and haven’t looked back ever since. The first time I tried this recipe was in full cake form, for my husband’s birthday (he loves anything banana flavored). I was making him a pair of Birkenstock shaped cakes (well…he’s a devoted Birkies wearer) and as I was sculpting it, I snacked on the trimmings. I remember being so impressed with the fluffiness that I had never experienced in a banana cake before, that I had immediately made a mental note to crown this recipe my go-to from hereon after. Oh! If you’re interested, here’s a photo of the Birkenstock cake on my Instagram account. 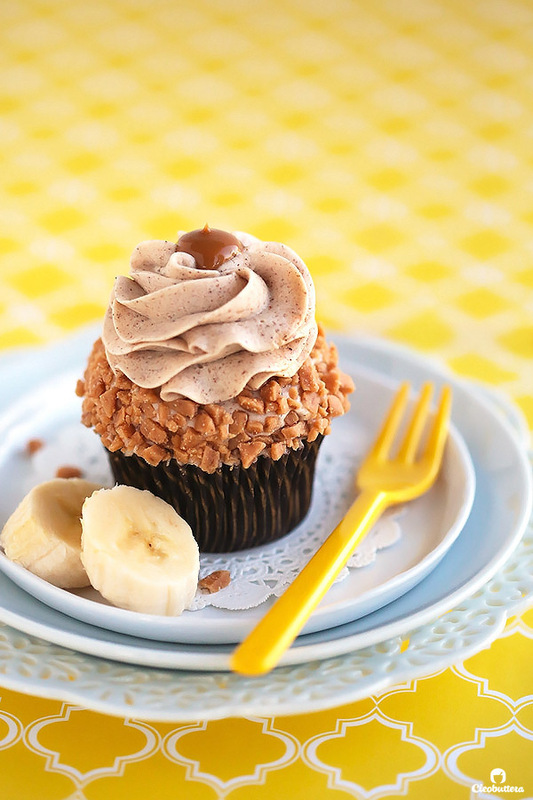 It is everything you wish to be in a banana cupcake/cake. But really…why would you do that?! Especially when the frosting is that divine! Ultra creamy, super fluffy, whipped cream cheese frosting, speckled with browned butter bits and kicked up with cinnamon. This frosting is where its at! I even dedicated a special post with a step-by-step tutorial for it (over a year ago), just so I could sing praises about it to my heart’s content. The incredible thing about it is that you don’t need to pile in the powdered sugar to stiffen it up. 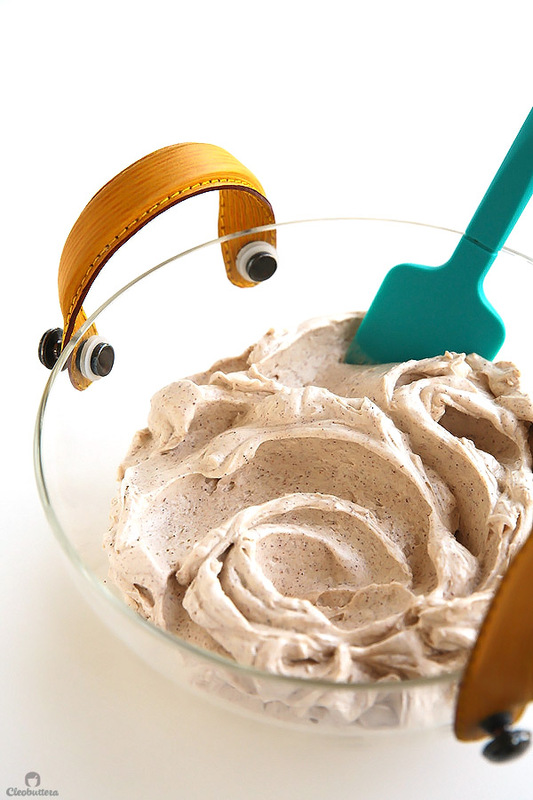 Soupy cream cheese frosting is often a problem to many, but not any more! 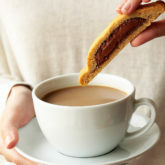 I use a special technique that I discuss in detail in that post, that allows you to use juuuuuuust enough sugar to sweeten it up, while maintaining a stable, pipable quality. The result is a creamy, melt-on-your-tongue frosting without that dreaded sugar grit. 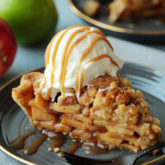 The browned butter adds an incredible, toffee-like, nutty depth of flavor that is just soooooo good and marries swimmingly with the banana flavor. However, feel free to skip browning the butter if you just want straight up cream cheese frosting. But give it a try… at least once. 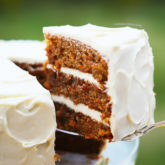 It’s takes the cream cheese frosting we all know and love to another dimension of deliciosness. Cinnamon in a welcomed kick of spice that I simply love to pair with bananas, but again, you could omit if you don’t feel like it. As you already probably know, the secret to successful banana baked goods is RIPE bananas. I can’t stress this enough. 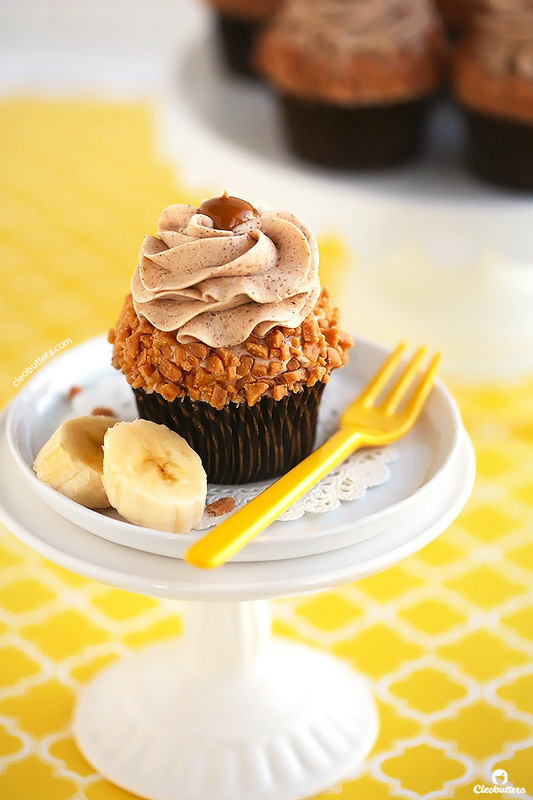 Regular bananas of medium ripeness, the kind that are good enough to snack on, will result in flavorless, dense cupcakes that lack balanced sweetness. So pick the ugliest bananas lying around. The mushier and more speckled the better. 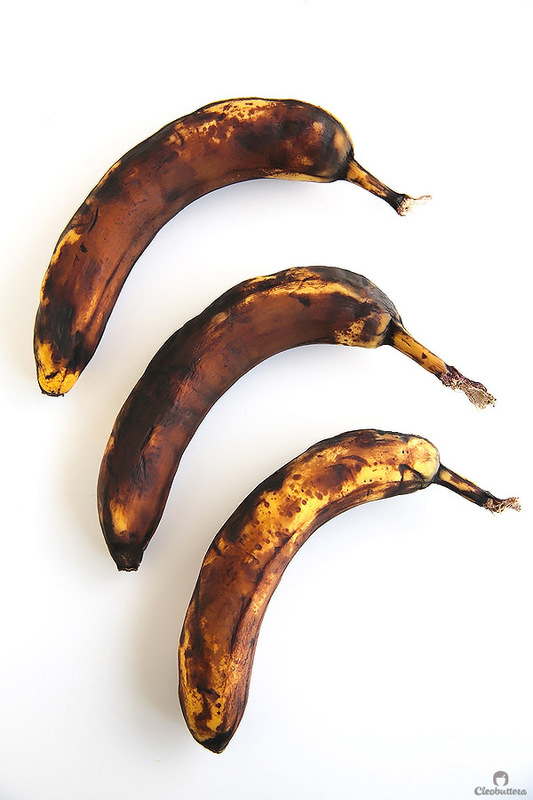 Not rotten though, definitely not rotten😷 I love to freeze bananas once they reach their maximum point of ripeness, so I could have them on hand anytime I’m in the mood of baking something banana-y. Just peel and store them in zipper lock bags before you freeze them. Your future self will thank you later. Don’t forget to thaw before using! So as you can see here, my bananas are beautifully spotted throughout with golden mushiness. That’s sweetness and flavor baby! 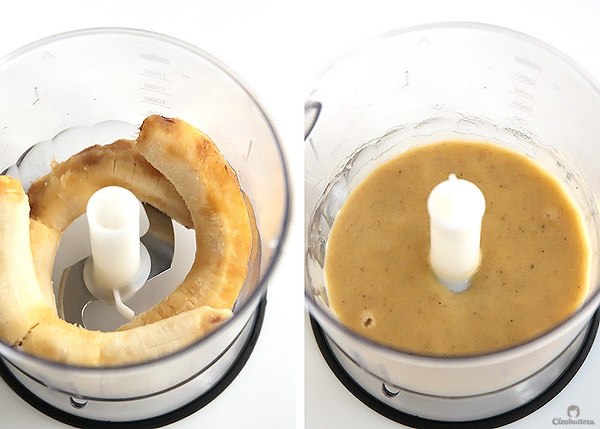 I prefer to puree my bananas in a food processor to an extra smooth consistency as opposed to mashing them your a fork, because I don’t like bits of fruit in my final cupcakes. But…whatever floats your boat. This, my dear friends, is what puts the BANANA in the banana cake! The batter tastes like banana milkshake, so try your best to scoop it all up without licking the bowl clean. Bake until the cupcakes spring back to the touch and a toothpick inserted in the center comes out clean or with a few cooked crumbs attached. 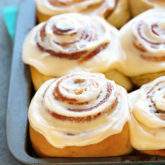 Allow them to cool completely before frosting. To get that mile high frosting look with that rim of bits of yumminess, here’s what to do. 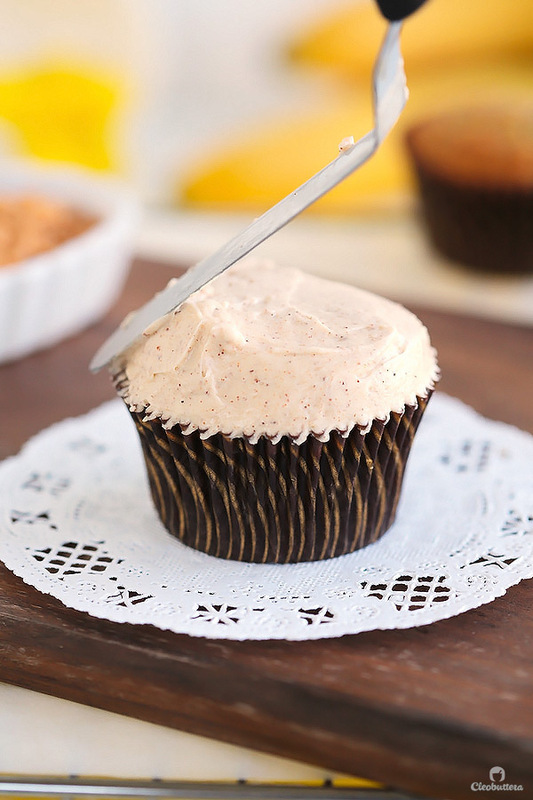 Using a small offset spatula, cover the entire surface of the cupcake with a smooth layer of frosting. Make the frosting fuller around the sides and flat on top. Roll the sides of the cupcake in a plate full of toffee bits or crushed nuts (I used toffee bits), pressing lightly to adhere. The flat, bare surface is where you’re going to add your swirls of frosting. Fit a piping bag with a closed star tip (I used Wilton 1M), then fill it with the remaining frosting. Pipe the frosting directly on top of the bare flat top. Start by applying pressure in the center then moving twice in a circular motion and finishing off in the center. 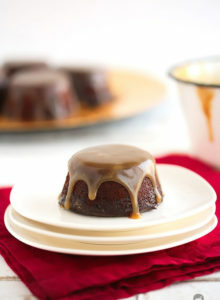 Using a squeeze bottle or piping or zipper lock bag filled with dulce de leche or caramel sauce, pipe a small dollop in the center of the frosting. 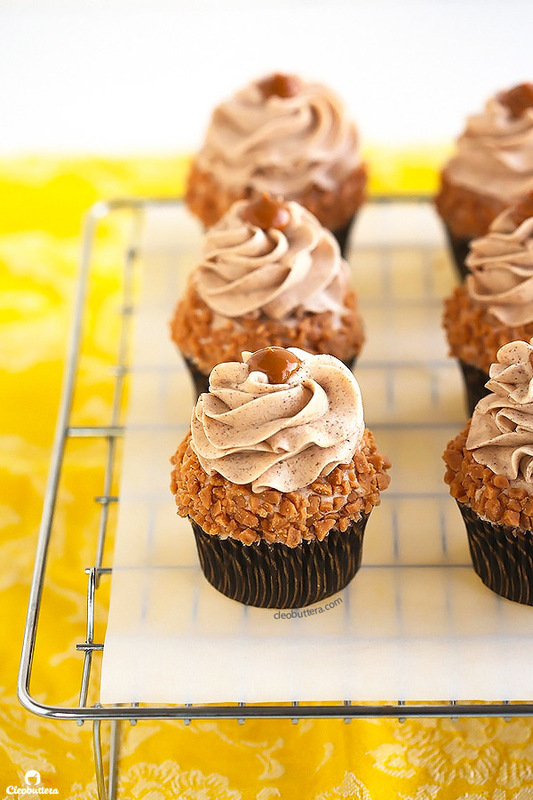 I used dulce de leche that I had left over from this post. And there you have it folks…some incredibility delicious banana cupcakes that will fill your house with the most intoxicating aroma! Whether baked into little cupcakes or a full size cake, this recipe is guaranteed to please. You know that line of gumminess that often runs through the crumb of banana bread/cakes? Non of that over here! Only cake-y fluffiness allowed. And will you look at that whipped airiness of frosting creaminess? Head over to my Instagram account to see a video of these cupcakes getting all frosted! 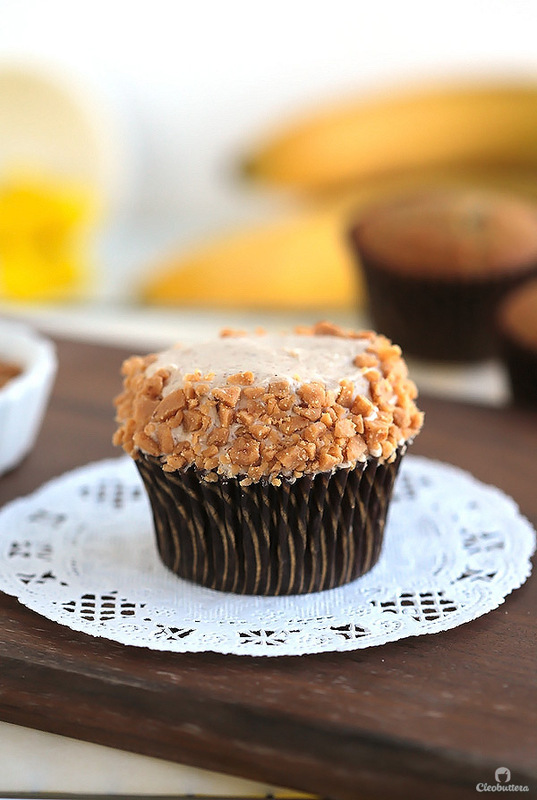 Moist and tender banana cupcakes bursting with banana flavor! 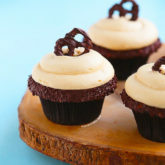 Browned butter cinnamon cream cheese frosting makes them incredibly delicious. Please note that the browned butter in the frosting needs time to chill until it comes back to room temperature before using, so plan your time accordingly. Alternatively, for another variation of the cinnamon cream cheese frosting that is NOT browned, simply skip the browning process and use straight up unsalted butter at room temperature instead. 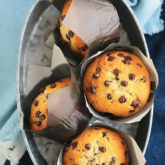 Line 2 standard muffin pans with 18 to 20 cupcake liners. Set aside. 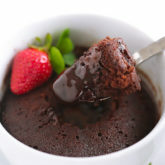 In a medium bowl, whisk together the flour, baking soda, salt and cinnamon (if using) to combine. Set aside. Peel the bananas and puree them in a food processor until smooth, or mash with a fork if you don't mind a few bits of bananas in the final cupcake. In the bowl of a stand mixer fitted with a paddle attachment (or a large bowl and a handheld mixer), beat the the butter until smooth and creamy; about 1 minutes. Add in the sugar and beat on medium speed until lightened up in both color and texture; 3 to 5 minutes. Add the eggs, one at a time, scraping thoroughly between each addition. Add the sour cream and vanilla and beat until well combined. Set the mixer to lowest speed, then add in the flour mixture in two batches, scraping down the bowl after each addition. Beat slowly until just blended; do not overmix. Preferably using an ice cream scoop with a release mechanism, divide the batter evenly between the cupcake liners until 3/4 full. Bake for 18 to 20 minutes, or until they spring back to the touch and and toothpick inserted in the center comes out clean or with a few cooked crumbs attached. Do not overbake. Allow the cupcakes to cool in the pan for about 5 minutes, then transfer them to a wire rack to cool completely before frosting. 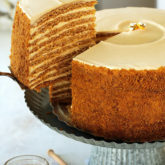 Frost with the cinnamon browned butter cream cheese frosting (recipe below) in your preferred method and amount. 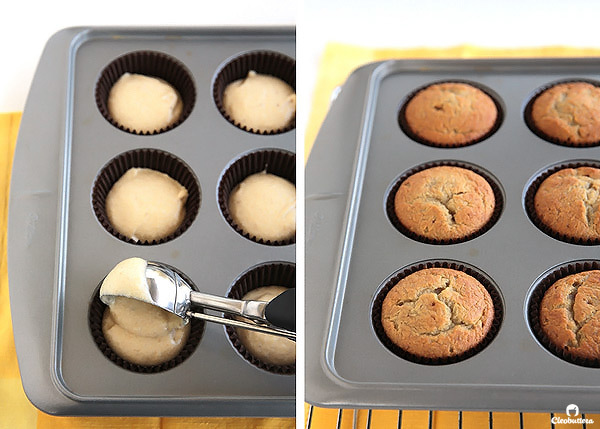 To frost as shown in the pictures, use a small offset spatula, to cover the entire surface of the cupcake with a smooth layer of frosting. Make the frosting fuller around the edges and flat on top. 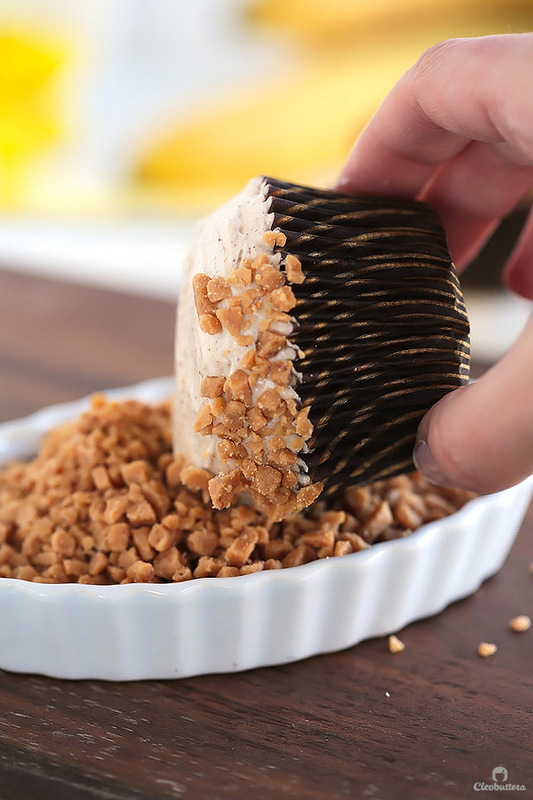 Roll the sides of the cupcake in a plate full of toffee bits or crushed nuts, pressing lightly to adhere. Fit a piping bag with a closed star tip (I used Wilton 1M), then fill it with the remaining frosting. Pipe the frosting directly on top of the bare flat top. Start by applying pressure in the center, then moving twice in a circular motion and finishing off in the center. 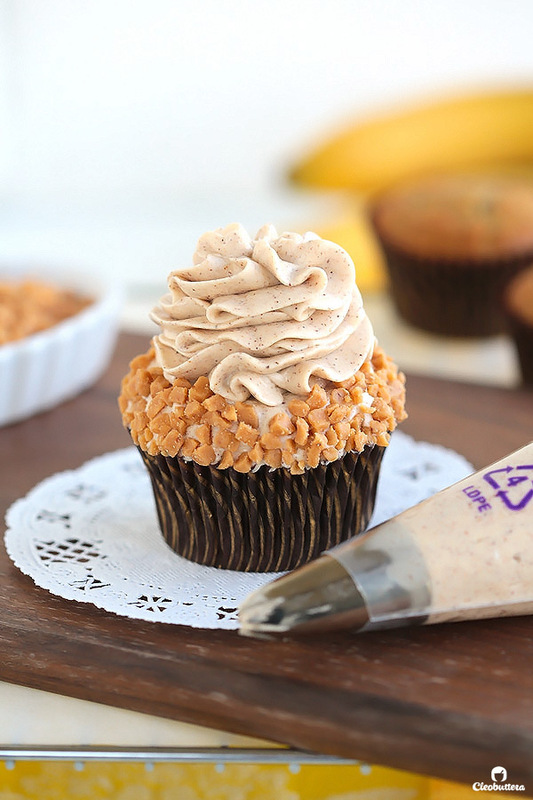 Using a squeeze bottle or piping or zipper lock bag filled with dulce de leche or caramel sauce, pipe a small dollop in the center of the frosting. Store in an airtight container until serving time. Store leftovers in airtight container in the fridge, allowing them to come back to room temperature before serving. 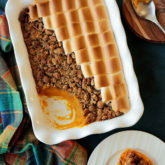 Transfer to a small bowl, cover and place in the freezer for about 45 minutes or until its solidifies but is still soft and pliable. If it get too solid and cold, give it a quick zap it the microwave to loosen and bring it back to room temperature. Just make sure its not warm one bit. Banana cake in general, taste best when it has had time to rest and develop its flavor. For best results, bake the cupcakes one day in advance and let them rest in the refrigerator, wrapped in plastic wrap or stored in an airtight container. Bring back to room temperature before serving. This recipe will make an amazing three 6-inch round cakes. Double the recipe to make three 9-inch round cakes. The frosting recipe will make 4 cups of frosting, which will generosity top the cupcakes with enough frosting to dramatically pile it high as shown in the pictures. It will yield a 1:1 frosting to cupcake ratio. For a more moderate amount of frosting enough to yield a 1:2 frosting to cupcake ratio, make 3/4 of the recipe. 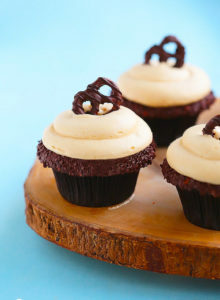 If you like a little swirl of frosting on top of your cupcake, then make only half the recipe. Cupcake recipe adapted from Confetti Cakes Cookbook by Elisa Strauss, with a few minor changes like adding salt and cinnamon to the batter. According to the original recipe, this amount of batter should yield 12 cupcakes but I got 18. I also halved the recipe. You can get the full original recipe here. Cinnamon Browned Butter Cream Cheese Frosting recipe adapted from Pipable Brown Butter Cream Cheese Frosting; a Cleobuttera original. 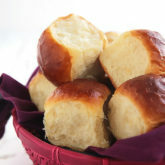 i love the idea of the texture and taste added from rolling them in toffee bits, plus it looks amazing! bravo! Where was this recipe for my daughter’s first birthday?? I made the worst banana cake ever. Can’t wait to try this one! Hahahaaaaa😂 I feel ya! I had way too many flops in the most special occasions. My worst, was an inedible red velvet cake that I risked for the first time on my husband’s birthday. Everyone were trying to be polite by saying nice things, but they’d take a forkful, cringe, then push away the plate😂 Lesson learned; never risk trying a new dessert for a special occasion. PERFECT combo. I can practically taste the mellow sweetness of these delicious spiced cakes. That means the world coming from the dessert queen herself! Love it! 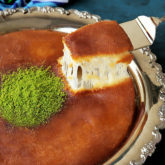 Looks really delicious! Your photos are amazing and perfect with the step by step directions! So nice and so delicious ! Iram you’re so sweet; always lifting my spirits with the nicest things you say. Thank you so much love. That’s a great question actually. For cupcakes, I feel like a 1/4 cup of batter is the usually the perfect amount to fill up 2/3 of the cupcake liner. I just use a 1/4 cup measure ice cream scoop for that. For muffins though, I fill the cavities almost to the top to get that mushroom cap like dome. Hahahaaaaa😂 That’s the best kind of harassment! Keep it coming lol! I’m so happy you loved these cupcakes as much as I do! 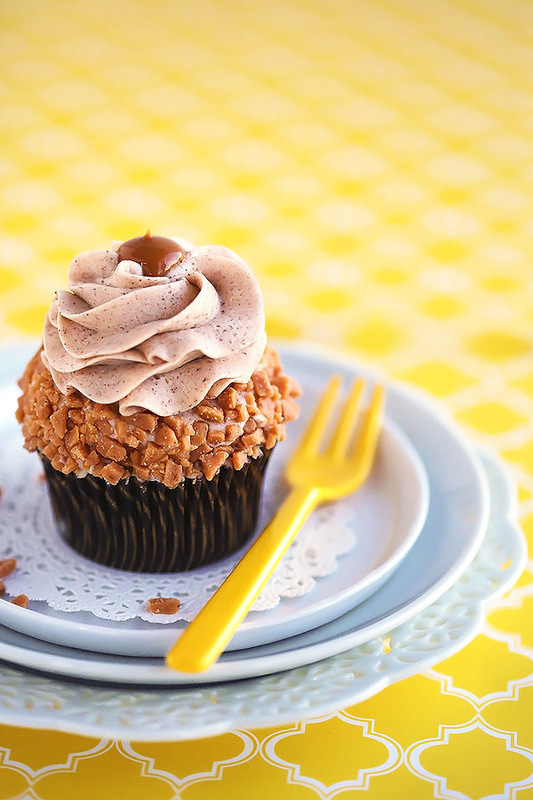 Chocolate & peanut butter frosting (especially) sound amazing! I’m a sucker for the Elvis combo. I love these cupcakes in cake form too and was debating which form to post here. In the end, I went for cuteness factor of cupcakes over the practicality of a layer cake. Hi Tasbih, I’m so glad to come across your blog. I’ve tried your marble cake and galaxy choc cupcakes. Next is the pretty banana cupcakes. Do you make your own toffee bits for the recipe? Hi Grace😊 What a pleasure to have you visit my little blog & trying recipes from it. Welcome! For the toffee bits, I used Heath brand. You may have noticed that I frequent your blog many times a day, crazy me right?! I’m planning to bake your pretty banana cakelets for charity this weekend. Now, can I prepare the frosting a few days ahead and store in the fridge? You can make the frosting up to 3 days in advance, store in an airtight container in the fridge. When ready to use, just let it come to room temperature, then beat for a minute or 2 to restore its texture & consistency. Good luck with the event! They’re for a good cause after all, so you know they ought to be good. I’m so sad that my frosting turned out too soft to be pipeable! Ended up having an ugly version of the cupcake. Oh no Grace😞 I wonder what went wrong. Was by any chance your brown butter feeling warm? Did you use cold cream cheese? What type of cream cheese did you use? I feel that the cream cheese in the tub doesn’t work as well. Only brick style or brands like Kiri tend to do better in frostings. I really want to help you get it right. Oh I think that’s it. I always have soupy results whenever I use cream cheese in the tub. It kinda separates & slightly curdles during the mixing process. I think it’s due to it having a higher water content, a necessity to make it spreadable. Unfortunately in Egypt, we don’t get brick style Philadelphia over here; just in the tub. I then discovered that Kiri (a French brand that comes in small squares) works just as amazing as the brick style. Okay so I tried this of course, and the lemon one too and both were amazing as usual! I had a question tho, assuming I wanted to incorporate nutella into the mixture of the banana cake, can I substitute it with the sour cream? If not, how can I incorporate it into the recipe without ruining its beauty! That’s so awesome to hear Aliaa! I’m so glad you’re having success with the recipes of the blog. 1. 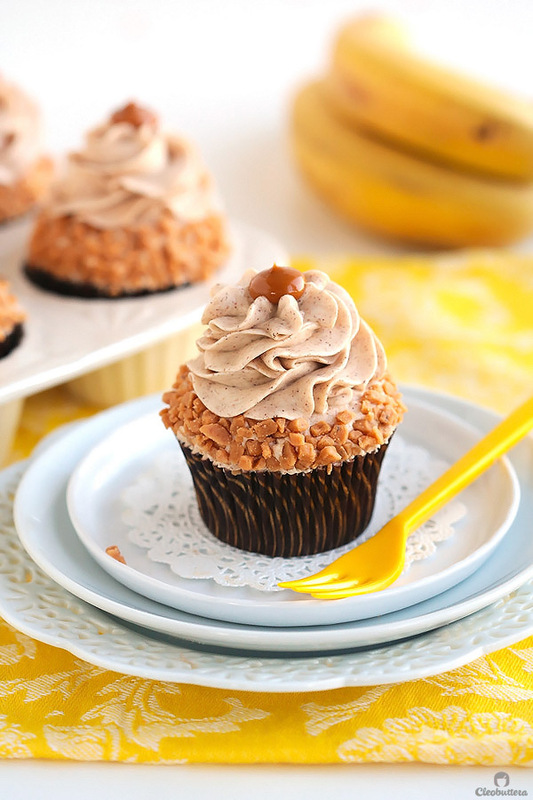 Dollop a teaspoon of Nutella right on top of each cupcake batter, then lightly swirl it using a toothpick. Bake as normal. 2. 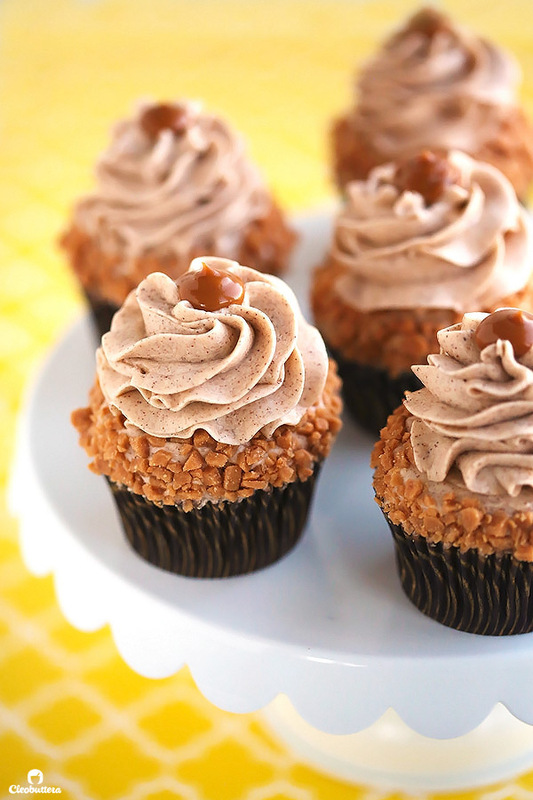 Frost it with the Very Nutella Frosting from my Nutella Lava Cupcakes instead of the cream cheese frosting. 3. 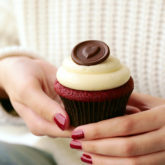 Keep the cream cheese frosting & fill the cupcakes with Nutella sauce, also from the Nutella Lava Cupcakes. Okay, so I made these cupcakes with the intention of making one batch for my best friend’s birthday. I ended up having to make two because I loved them so much. And I don’t even like cake! These are so delicious. Thank you so much for such a fantastic recipe. Hi Veron:) Yes sure! I use the paddle the whole time for the cupcakes. 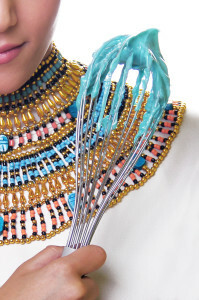 The frosting can be made with either the paddle or whisk attachment. Hi Tasbih. 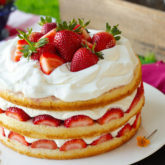 I wanna make this into a layer cake soon and I wanted to know if I can substitute yogurt for the sour cream. Also when I tried to make frosting before, you could always feel the sugar grains although I used icing sugar. I used a hand mixer but I try to mix it as long as I can. Any tips on how to make sure the sugar totally dissolves? Hi Menna! This recipe makes a mighty good cake; you’re gonna love it! It’s best to stick to sour cream here unless it’s full fat Greek yogurt not regular. Turned out fabulous in terms of texture and taste but it was a bit pale in complexion.What could be the reason?.And also a bit greasy in the sense that there was a puddle of melted butter under most paper cup linings.Must mention that I am very new to baking! Hi Vandana! I’m glad you like these regardless of the issues you ran into. For a darker, more flavorful crumb, make sure that the bananas are super ripe; as in they’re on the brink of going bad. Fresh bananas are not as flavorful in baked goods and won’t give you the color you’re going for. As for the puddle of butter in the linings, do you think your butter was too warm when you started mixing it with the sugar? Hi there! 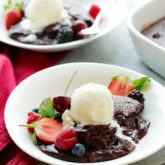 Any ideas on how to implement the toffee bits into the cake?? Perhaps mixing it directly into the bana batter or do you think into the icing would be better? Same time and temperature for 9 inch cakes? Hi Lesley! Same temperature yes, but they’ll surely require more time to bake through. I recommend checking after 25 to 30 minutes for doneness. Best of luck!